Very gracious of you Suzy. Well done sweetheart, hold your head up high. Meeting with Insolvency Service regarding Lessons Learnt Farepak is tomorrow but again sadly I cannot attend. I do have the documentation but it is embargoed until tomorrow. I will post the information once the embargoed time has passed! ■Strengthening assurance that witnesses are familiar with their evidence, its relevance and significance (including all exhibits) and are clear about the process and what is expected of them, especially where third parties may have prepared or assisted in preparation of affidavits, and where the witnesses may be unfamiliar with giving evidence. ■Whilst it is not the Secretary of State’s role to speculate on what actions directors might have taken, explicit consideration should be given as to how, the defendant ought to have behaved. In the majority of cases the answer may be obvious but nevertheless the exercise may be of value. This may prompt rewording or a recasting of the affidavit and allegations. ■Ensuring that the contingent liabilities for cases are reviewed regularly by the audit committee and management board in the Service and regularly communicated through the monthly forecasting process to BIS. ■In the light of the Judge’s Statement, is the Secretary of State’s “duty of fairness” likely to be developed so as to require changes to be made to The Insolvency Service’s current approach to obtaining and producing evidence in disqualification cases? ■What are the other implications of the Judge’s statement for future disqualification cases? - the use of “hearsay” evidence in the Secretary of State’s lead affidavit as opposed to producing that evidence in the form of third party affidavits? - the preparation and production of third party affidavits? - the preparation of third party witnesses to give oral evidence at trial? ■Could the policy on evidence production be challenged on the grounds that it is unfair and discriminatory for defendants without substantial means? If so, what is the likelihood of a successful challenge? ■Given the Judge’s comments about [the] volume of evidence, should the Secretary of State be more selective in producing evidence or is it right to produce all of the evidence in the interests of fairness? ■What are the implications of the Judge’s comments in paragraph 33 of his Statement in which he suggests that where the Secretary of State criticises the actions of directors he should be able to point to any actions that the directors should have taken instead? ■Whether there are any steps that could be taken by the Insolvency Service to mitigate the risk of a successful challenge? ■Were the procedures which existed at that time properly applied? If there were departures, were they reasonable and justified? ■If procedures have changed since then, would the new procedures have made any difference? ■ The presentation of the case, particularly the judges; comments about the weight of evidence and balance of viewpoints. ■Stakeholder management – did The Service act appropriately as regards to keeping Ministers and BIS informed, and in our handling of the media? ■The review is satisfied that the Judge’s statement does not have any sort of binding legal force. In particular, it is not a judicial decision reached after hearing evidence and argument and having the force of precedent. Although the Judge makes some general comments in his statement about the use and status of hearsay evidence in disqualification proceedings, he fails to make any reference to the leading Court of Appeal authorities or any cases where these matters have been considered. The statement does of course represent the particular views of the Judge himself. ■The review has concluded that for both legal and resourcing reasons there is not a need to obtain direct evidence (as opposed to hearsay evidence) of all relevant matters at the outset of a case, regardless as to whether it is contested. ■The review has concluded that the practice of the Secretary of State or the Official Receiver relying in the first instance on hearsay evidence is not in any way discriminatory against unrepresented defendants. ■The review has concluded that in respect to the volume of evidence in disqualification proceedings, a “one size fits all” approach to the preparation of evidence in disqualification proceedings is likely to give rise to difficulties. In some cases, considerations of fairness may mean that the entirety of the documents relating to a particular aspect of the company’s operations during a particular period, or relating to a particular issue, will need to be exhibited, so as to ensure that the material put before the Court is not unfairly selective. In other cases, the production of a significant volume of evidence without any prior filtering or selection may be considered to be unfair on the grounds that so much unfiltered information is oppressive and overwhelming for a defendant. ■The review has concluded that the Farepak disqualification was handled in line with the procedures which existed at the time that the decision was made to pursue the case in 2009 and were subsequently applied in line with that process. Procedures have been amended since that time with a clearer focus on reviewing the public interest in taking and continuing disqualification proceedings in section 8 disqualification cases (i.e. cases that lead from section 447 Companies Act investigations rather than follow from insolvency proceedings). ■The review considered whether the revised procedures would have made any difference on the progress of the Farepak case. The new procedures may have led to a clearer focus on the public interest in taking and continuing disqualification proceedings. However, it is clear that when disqualification proceedings were issued in 2011 there was confidence that the case for pursuing the litigation remained good. 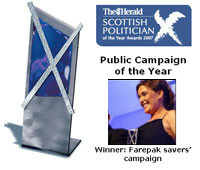 There was also still considerable concern about the failure of the Farepak, most particularly from the savers. It is quite clear that the case would still have been instigated and pursued even had it been dealt with under the revised procedures. ■The review has considered whether there were any undue delays in progressing the case and recognised that the size and complexity of the case made moving quickly very difficult. Following legal advice, significant further effort needed to be put into examining company information/communications after the conclusion of the section 447 report. This took some time before pre trial letters went to the directors in 2009. The delay is understandable but it crosses into the concerns regarding the time that had passed when witnesses prepared their evidence. Similarly it was important to seek representations from the directors and this was also a time consuming exercise. The inevitable delay was recognised and its implications kept under review as there is clearly some risk that public interest may diminish over time, but other public interest considerations led to the case continuing. ■The review has concluded that legal advisors were appropriately engaged in this case. ■The review has examined issues around the presentation of the case, including volume of evidence and preparation of affidavits. The evidence from witnesses was prepared by the Secretary of State’s solicitors in conjunction with the witness or in the case of bank employees by the bank’s solicitors (although there was liaison with the Secretary of State’s solicitors).Undoubtedly the tight timetable between the seeking of witness statements and the deadline for filing them created significant pressure. It has to be noted that the witnesses underwent very challenging questioning from counsel for the defendants and the judge and certainly some of their responses reflect this. The lapse of time since the events had happened made it difficult to sustain any comment made that was not directly evidenced by contemporaneous documentation. If the witnesses had made contemporaneous criticism of the directors but not raised these points with the directors, they were liable to be subjected to close questioning as to why not (some witnesses withdrawing evidence rather than providing an explanation). That said, the evidence was gathered and presented with the support and on the advice of legal advisers who had considerable knowledge and expertise in the requirements of the appropriate manner in which to gather and present evidence. The review has not found any indication that there was concern at the time of the gathering of the evidence (or at any other point) that ethical and professional standards were in any way being compromised. ■The review has also considered the manner in which stakeholders were kept informed of the proceedings and their development – in general terms stakeholders were kept informed but there are improvements that could be made in the way in which they are kept informed in similar cases in the future, in particular the manner in which regular updates are provided and the way in which information of contingent liabilities is passed. Phew, that's pretty heavy going if you don't have a legal mindset.